57:27 minutes podcast. I have learned so much in my research into adult behaviours and how it affect our children. I am very lucky to have develop a great working relationship with Gordon. His company are providing a critical support to the Yellow for Yelling program by adding educational value to parents. 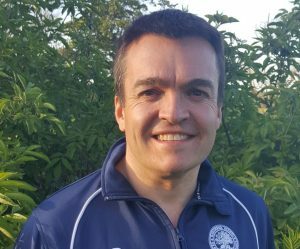 Gordon, a Sports scientist and Teacher work with organisations around the world so he brings a wealth of knowledge in this interview. Welcome Gordon MacLelland, its an honor to have you on “Off the Pitch with Active”. I basically stumbled across you when I started my research about parent behaviours and impact on kids in sport. It turned out that we had so much in common you got involved helping me and parents here in Adelaide. Tell the listeners a bit about you and your playing background? Gordon: I am currently CEO of Working with Parents in Sport, a company set up to support parents in creating the best possible environment for their children. I have spent the last 17 years coaching and working as a PE teacher, sports coach and more recently as a Director of Sport in a UK independent prep school(8-13). I have two young children who both love their sport and together we are trying our best to navigate the complexities of the youth sporting environment. As a player I was involved in many sports as a junior including football, cricket, rugby,swimming, squash, table tennis and golf. I was exposed to many different sports as a young child something that we advocate in a big way with the parents we work with here at WWPIS. My two most successful sports in terms of achievement were in rugby where I represented the North of England and had an England U19 rugby trial which was unsuccessful and I played a few games in the National leagues as a 20 year old. I also played county cricket at u15 level as a junior. I finished playing sport at a young age 22 due to a constant run of injuries and that was the stage that I got straight into coaching. Active: Tell the listeners a little about your coaching experience? Gordon: I guess I have something of a unique coaching experience in so much that I am 39 yet have been coaching for 17 years and have coached all age levels from U7’s all the way through to adults. Bizarrely, I set off coaching men’s rugby at 22 which was a unique experience, had to win a lot of battles and learnt a lot about myself and coaching. I then coached at the very top end of schoolboy rugby in the UK with an U18 side, many players went on to play professional rugby before I started heading down the age groups. As a coach I was very fortunate to win two national rugby seven titles with two different U13 sides at two different schools, something I am very proud of. Since then I have coached a number of sports including rugby, football, cricket and swimming to multiple age groups. Active: You have spent some time in NZ, what did you do there? Gordon: After university and obtaining my degree in sports science I spent a year in NZ when I was 22 when my own personal sporting career was coming to a halt and loved the culture of NZ sport. Some of the All Black culture is something we often use when speaking with sporting organisations. I coached rugby, cricket and did some fitness training with the rowing squads at Wanagnui Collegiate School and loved the southern hemisphere sporting environment. Bizarrely, it was the work of Eddie Jones at the ACT Brumbies who really inspired my coaching back then. A team with Gregan, Larkham, Mortlock who were great Wallabies but it was how creative they were that really struck a chord as a unit and they certainly inspired me in my early coaching career. As a father now with my own children it has given me a unique perspective into how it really feels to be a parent but I am also able to see what it feels like to be a coach? I feel it puts me in a favourable place when speaking with both coaches and parents in finding ways to improve the relationship between the two parties which undoubtedly in some cases has become fractured in recent times and also to try to help support both parties in creating the best sporting environment for children. Active: Why did you start WWPIS? Gordon: As a coach over the last few years I had become aware of some of the issues involving parents, coaches and the environments surrounding youth sport most notably when hearing John O’Sullivan speak at a conference in Oxford around 4 years ago. I believe you have him coming on the show soon – what scared me was my attitude with my own son during the early days(watching every move, dissecting the session, poor car journeys home, taking him when he was not 100% etc… the list goes on. I was making some of these decisions from an informed standing point but when human parental emotion kicked in I was unable to make good decisions. That got us thinking about all those parents who have limited experience in sport and will be very much swept along with what they perceive to be doing the right thing. At the end of the day many parents are peaceable human beings and will just do what they think is right or what they may have seen on the tv, or indeed heard from someone else who may not even be an expert. We wanted to set up a platform that was supportive of parents, providing information in a number of different forms in the most non threatening place possible. A place where they felt they could learn, ask questions, follow feeds on social media and start to make really good informed choices about the direction that their child’s sport was taking. Many failed campaigns from organisations – when we researched our book 85% felt the best way to support their child was to not shout at a referee and stay behind a certain line – there is far more to it than that. What is some of the most scary statistics or research you have come across? I think it is the sheer number of children who quit sport either during their teenage years or in adulthood because it is no longer fun. There may be a myriad of reasons for this but we need to set children up so that they fall in love with sport and physical activity for a lifetime and when they are finally able to make that choice as they get older it has been motivated by them not by adults – GM/AC story on rugby and cricket? What have you learned from latest science on child development? We need to strip it all back and put the needs of the child first. It is their game and not the adults. Great to see so many governing bodies adapting versions of the adult game to make them age appropriate, this has been great to see in recent years. Australia cricket I believe are trialling and looking at changes and rule formats at younger ages to improve the whole fun and learning experience. We wanted to create a product that allows all parents to engage and understand the best ways to support their child in sport. We wanted to cover as many different elements as we could without it taking too long for parents to read. We also wanted it to be extremely user friendly and written in a language for people with all sporting backgrounds. If people want to know more after reading the book they can then link up with our website and social media platforms on facebook and twitter to quench that thirst. More importantly we wanted it to be in a price range that everyone could afford and combined with our new members area we are so excited at what we have been able to offer in our price range. The final piece of the product is our new members area written by former GB Womens No 1 tennis coach and member of GB tennis Olympic team in 2012 Nino Severino. This website includes material only ever made available to elite athletes and in some cases articles only written for professional athletes, we want this information to be available for parents should they feel the need to read it or to gain some advice. Particularly excited about nutrition, recipe ideas including links to recipes etc…. We are delighted to be bringing our resource to South Australia to support the Yellow for Yelling campaign. Anything that can be done to improve greater awareness about the perils of touchline behaviour can only be a good thing for all parties, the players, the coaches, the officials and the parents to make children’s sport a memorable experience and we hope that the campaign is backed by as many large sporting organisations as possible and the campaign proves a real success. 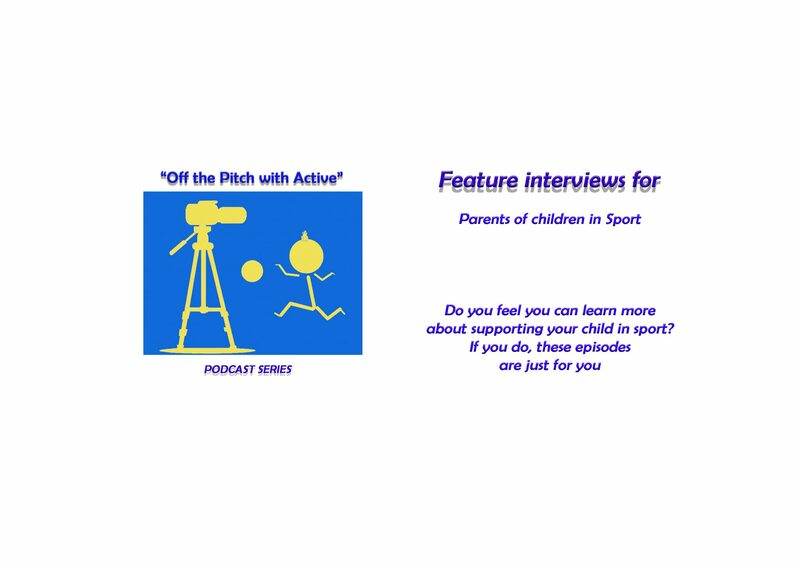 We have also shared our power point presentation for parents with Active Ilustrated that mixes together a real blend of interaction, video, pictures and text and I hope that all of you who listen to or see it really can practically take some of the advice out into the sporting world. To continue to support parents, coaches and organisations in creating better sporting environments and to link up with more and more sporting organisations around the world to help in trying to solve this key area of concern. We are delighted to be coming to Australia! Just so parents know that we are not here to Parent Bash and are here to support, we want to read this letter from a parent to a coach……… we know how you feel we just want to help channel those emotions in the best possible way. I really encourage all the listeners to visit Gordon’s website. There are links on Yellow for Yelling page on www.activeillustrated.com If you are a coach or parent, Stay connected this is a movement that won’t go away.